When it’s finally launched yesterday with the latest update of iOs, I immediately updated my iPhone and anxiously opened the Music app after the download is finished. After I clicked ‘Next’ I was again shown a page where I should choose. This time, favorite artists. Again, it did not show everyone, but I had to choose anyway. However, I am still kind of confused with the interface. For example, just as I am writing this my “For You” section has changed again. This time includes a Joss Stone and a 90s electronica playlist. I also got some recommendations; Michael Jackson’s Thriller album, Grizzly Bear’s Shiled album, Wilco’s Yankee Hotel Foxtrot album, and Usher’s Confession album… to name a few. Although that shows a more diverse options to me (I loveee almost all kind of music and I like to discover new music), I still think it is considered predictable and nothing new, because I know all the artists recommended to me. 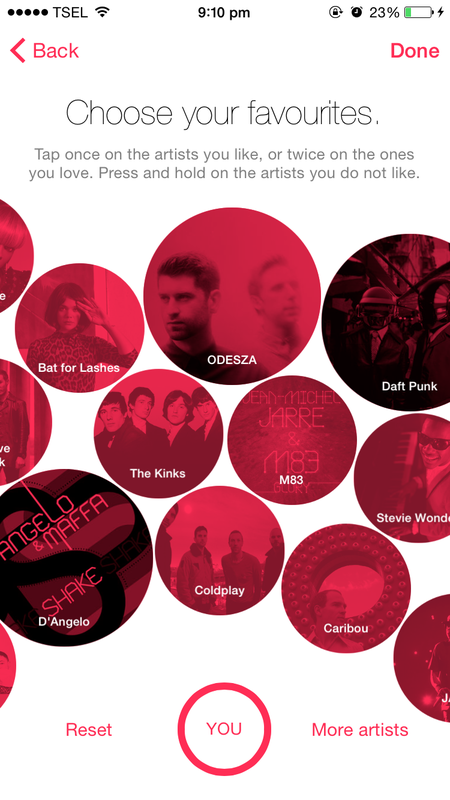 Somehow, I like Spotify’s “homepage” better, where I can get playlist recommendations based on time of the day. That’s how I usually got new recommendations and discover new music. And, how do I create my own Playlist? Still haven’t found out how to do it. 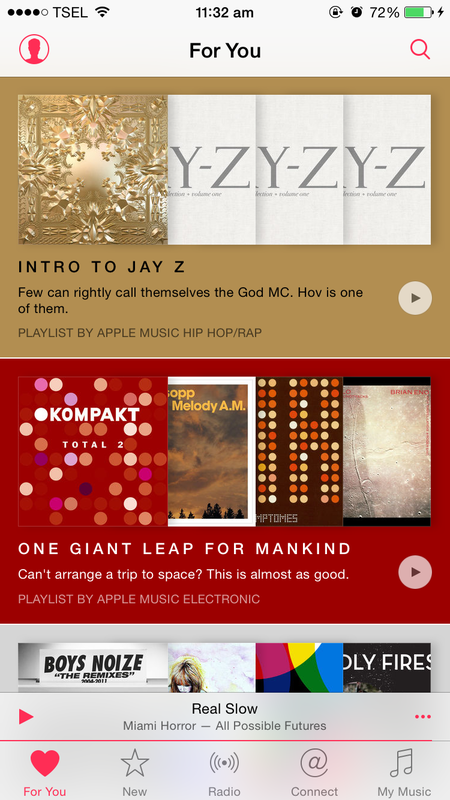 But… here’s the cool thing about Apple Music. 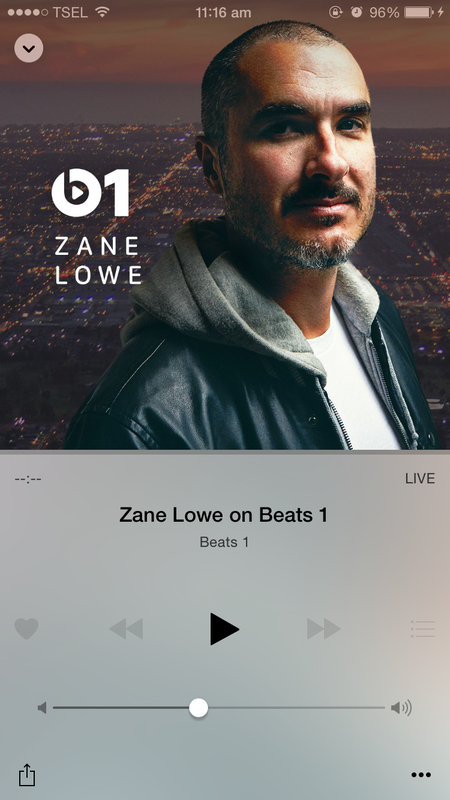 Beats 1 Radio! It’s a 24/7 live radio broadcasted from several parts of the world with DJ’s such as Zane Lowe from LA (yes, that Zane Lowe), Julie Adenuga from London and St.Vincent. Now here’s the place where I can discover new music! By listening to the radio, every time I hear a new song that I like, I can just instantly “love” or add it to my music, and then it immediately updates my preferred genre/artists as well. YASSS. 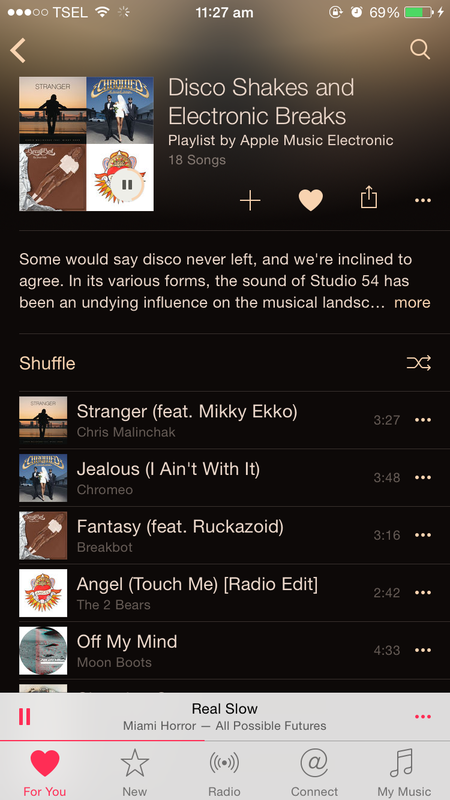 So far, I’m loving Apple Music. It’s still free for 3 months trial now and afterwards it’s IDR 69.000 per month in Indonesia – quite I good deal I say. Will be better once I got more used to the interface I think. Have you checked it out? What do you think? 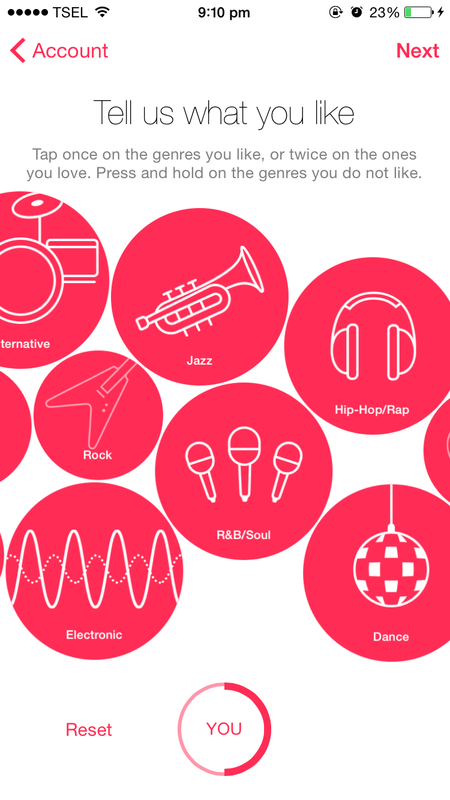 Oh google music baru denger Fe, android only apa ios juga bisa? ios aku Chris, coba deh, keknya lbh simple..
Btw ini bisa offline jg ga ya? Ahaaa got it! Iya add to my music dulu trus di my music nanti keliatan opsi add new playlist ya. Tapi masi sedikit lebih ribet dr spotify menurutku. Mungkin belum kebiasa aja..
Hahaha yes, not sure if they would have a free membership option like spotify..
Cara baru buat mengeksplorasi musik terus menyimpan genre musik yang kita suka! Semacam DJ pribadi ya Mbak, convenient banget menyesuaikan dirinya dengan “perintah” kita :hehe. Lumayan sih bayarnya cuma tak apalah, kalau bisa terus dapat rekomendasi musik bagus dan banyak lagu baru, hitung-hitung memberi penghargaan juga pada si penyanyi dan pencipta lagu :hehe. Sayang, masalahnya saya belum punya gawai dengan sistem operasi iOS :hehe :peace. Kayaknya jauh sih Mbak dari android :hihi, tapi semoga ada rezeki untuk membeli gawai berbasis iOS :amin. Lho di Irlandia wifinya kacrut? Kirain cepet..
Aku udah di Jakarta Christa, nanti akhir summer balik lagi. Ooohh pantesan wifi nya kacrut hehehe. Aku paham kalo gitu..
Sudah bisa akhirnya dan sudah update ios. Menyenangkan banget yaaaaa! Masih bingung, Chris..😐 Tapi ide intinya nangkep deh kayaknya..😉 Entah berapa bayarnya kalo trial gratisan udah abis soalnya Apple ID-ku iTunes Australia..
Eh baru ngelihat, kalo yg Australia bayarnya 11.99 utk individu dan 17.99 utk family plan..
Hi Ta, nanya dongs! Kalo kita registernya di iPhone otomatis connect ke iTunes yang ada di laptop nggak ya? Just wondering hehe.